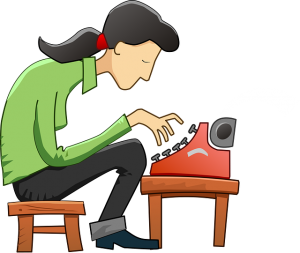 Home » Book Marketing » How to Write An Author Bio That Doesn’t Scream Amateur! I cringe when I see an author bio like this on the back of a self published book. Sue Brown was born in Des Moines, Iowa and went to high school at North Valley High. She went to college at Colorado State University, majoring in English. She got married right after college and now has 2 daughters. This is her first novel. This, unfortunately, is a typical bio for a first time author. A bad author bio on the back of your book can hurt your sales. Why? An author bio isn’t really about the author. It’s part of your book’s sales pitch. The purpose is to give a prospective reader a reason to check out the book because of the author’s passion and expertise on the topic. A boring bio like Sue’s doesn’t give the reader a single reason to check out her novel. It doesn’t answer critical questions like why did Sue become a writer? What is she passionate about that inspired her to write this novel? 1. Start Your Story With Your Book. Nobody cares where you were born or where you went to high school. Unless you were born to famous parents or went to high school on Mars, start your author bio at the point where you decided to write your book. Even though the bio is about you, it’s really about why the reader should be interested in you. Center your opening sentences on why you wrote your book and why should a reader care. 2. Establish your expertise on the topic. Why should anybody choose your book over another one in your genre? Even if you don’t have a PhD on your topic, you must have some sort of expertise you can use to establish that you know what you’re writing about. Have you been obsessed with your topic since you were a child? Did you start a fan club around it? Did you discover your passion in college and built on your knowledge ever since? Try to keep your bio succinct, but include enough detail to keep it interesting. Show it to friends and family and get their input – they may point out interesting details you’ve forgotten! After you’ve finished your bio, edit, put it aside for a day and edit again. Create 2 versions – a short bio (50 words) and a longer version – (150-200 words) You’ll use both in your marketing and outreach efforts. If you’re not sure about using humor in your bio, get feedback from friends, family and especially your editor. You’ll also be using this bio on your website, social media, and in your marketing materials, so it needs to hit the right note. Need more inspiration? Go to your own bookshelves and start looking at author bios on books you own. Which ones are the most memorable? Which ones could use some work. Write down phrases you could borrow for your own bio.